Our paving division is an essential division of Horgan Brothers Inc., specializing in, but not limited to, driveways, roads and parking lots. Our paving Supervisor James Kelly has been with us for over 30 years and his integrity and attention to detail insures all your asphalt needs are met. 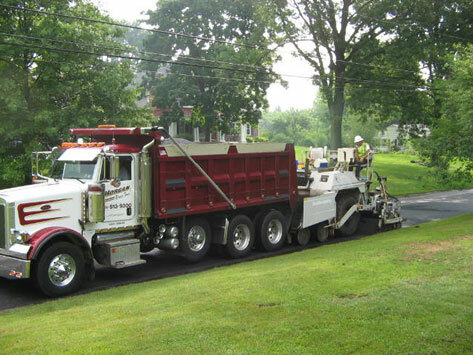 Our full service paving division can provide free estimates on new driveways, extensions, roads, parking lots, resurfacing, milling & overlaying, patches, walkways & walking paths. Horgan Brothers Inc. has provided and installed numerous cart paths at various golf courses in the Delaware Valley area.